Walt Disney World Celebrate A Dream Come True Parade 11 May 2011 Hd Upload, share, download and embed your videos. Watch premium and official videos free online. Walt Disney World; Book Your Travel! DL Resort Update; ... 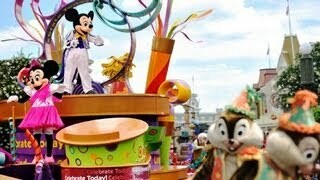 The Celebrate a Dream Come True parade features six floats, each featuring a classic Disney character.